Advocacy is a critical skill for being an effective park and recreation professional, no matter where you’re at in your career. Whether you’re fighting for this year’s budget, arguing for your program’s existence or just working to get through the day, being proficient in advocacy techniques can be a vital lifeline in your career. Step up for the future of parks and recreation by becoming a Park Champion! This award-winning advocacy program will teach you the advocacy skills you need to know, beginning with developing relationships with key decision-makers. Park Champions across the country are building strong, lasting relationships with their elected officials by inviting them to park dedications, program kick-offs, special events, and more. The Park Champion show-and-tell advocacy model allows our members to create meaningful experiences for members of Congress that demonstrate the importance of investing in parks and recreation. 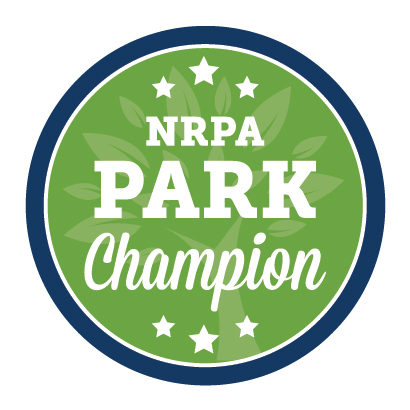 Join the NRPA Public Policy team as we explore how you can make a difference for yourself, your agency and the field by stepping up as a Park Champion. Jayni Rasmussen is the Advocacy and Outreach Manager for the National Recreation and Park Association. She manages the Public Policy's team's advocacy initiatives, including the Park Champion campaign. Prior to NRPA, Jayni worked at Ocean Conservancy, where she coordinated advocacy and outreach efforts both on Capitol Hill and on the ground to garner support for ocean health policy. Jayni is a graduate of Kent State University, where she received her B.A. in Political Science. 04/11/2019 at 2:00 PM (EDT) | 60 minutes This is the webinar component for the event held April 11, 2019. Please be sure to test your system prior to accessing this content.